To many a wooden dinner table can just be a regular wooden furniture item, but for me it has got a huge symbolic importance. I feel that this is a platform for the family reunion. All members join each other while having lunch or dinner whatever is planned. 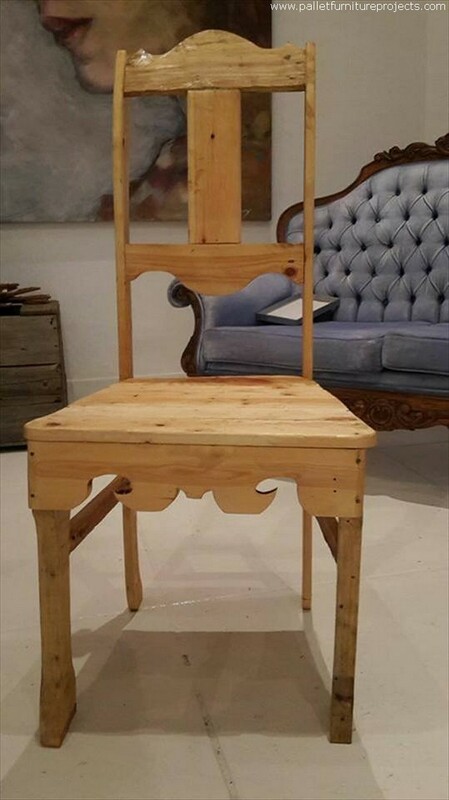 So I think it has a lot of importance not just as an ordinary wooden furniture item. Whenever I work on recycling some wooden dining table I always make it with sheer love and devotion because I feel like I am doing something good for a family. A traditional dinner table could be the one that has got six or sometimes eight wooden chairs along with a large wooden dining table. This can be made in countless designs and shapes as the wood articles can be shaped according to your choice and priorities. 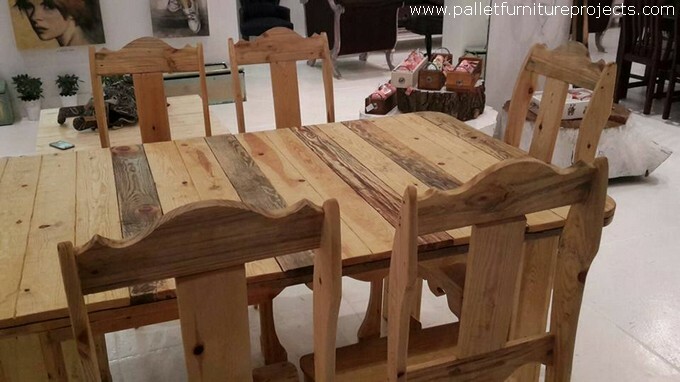 We would also consider ours while recycling this wood pallet traditional dinner table along with chairs. Well, to make it traditional what exactly we have got to do? 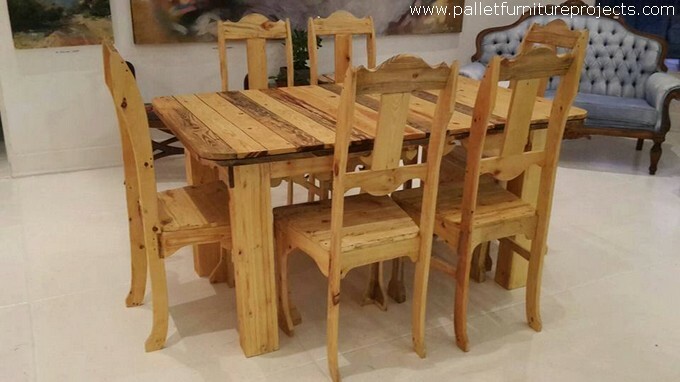 We are going to make six wooden chairs, and the size of the wood pallet table is going to be reasonably big so that six people could easily be served on single table at one time. 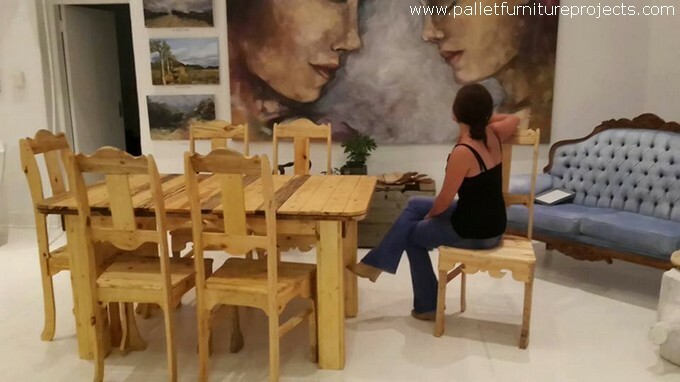 Now let’s talk a bit about the designs, carving, patterns, shape and quality of wood pallet. Shipping pallets used here are apparently in good condition because the final product isn’t carrying that much scars. The crown of chair or the back is made pretty traditionally, the design that is most common. Very fine shapes are drawn on the frontal bottom of the chairs. And the table is kept pretty straight and simple. Rounded corners with robust thick legs, this table is just spacious enough to cater the needs of half a dozen people at the same time pretty smoothly and effectively.